Meeting us over coffee in a quiet cafe in Kuala Lumpur a matter of hours before their show, Barry Burns the multi-instrumentalist of the Scottish band, Mogwai is really quite the gentle 'giant' (as he puts it himself). Patting his belly from having a major Malaysian feast of Roti Canai, Rendang and more at Jalan Alor the night before, the 6-foot cog in the machine that is part of the musical genius of Mogwai, had only joined the band before the recording of their second album, "Come On Die Young" (1998) and with the following releases from the band thereafter, the vast improvement, growth and complexity of their musical compositions have been rather apparent. 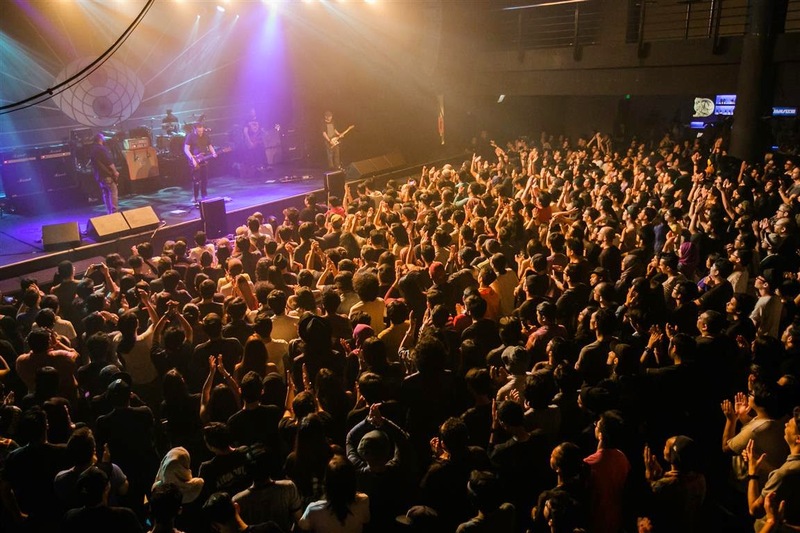 In an era where people tend to pick watching celebrities in concert rather than actual musicians performing on stage, it's a rare gift that this band has survived for almost 20 years now. After all, there is no celebrity in Mogwai. This is a band made up of serious music composers and it has worked greatly for them, having composed music for filmmaker Darren Aronofsky's "The Fountain" with famed film score composer Clint Mansell ("Requiem for a Dream", "Black Swan", "Noah") and also the entire series score for the critically acclaimed French TV series, "Les Revenants". Not many know that the band had actually played their very first show in Malaysia at the Kuala Lumpur Convention Centre back in 2009 with Soundscape as the promoter and Junk as the media partner; the music magazine that had organised all those indie shows way back then under 'Junk By Demand', which has now spun off to the annual Urbanscapes music festival for which its Satellite Show the band has now returned for, to play for a two thousand strong crowd. 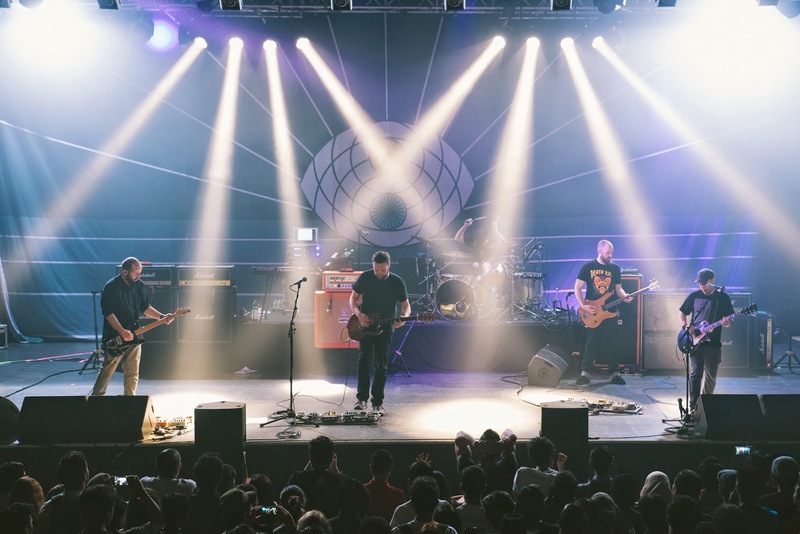 Mogwai's second show in Malaysia for the Urbanscapes Satellite Show. 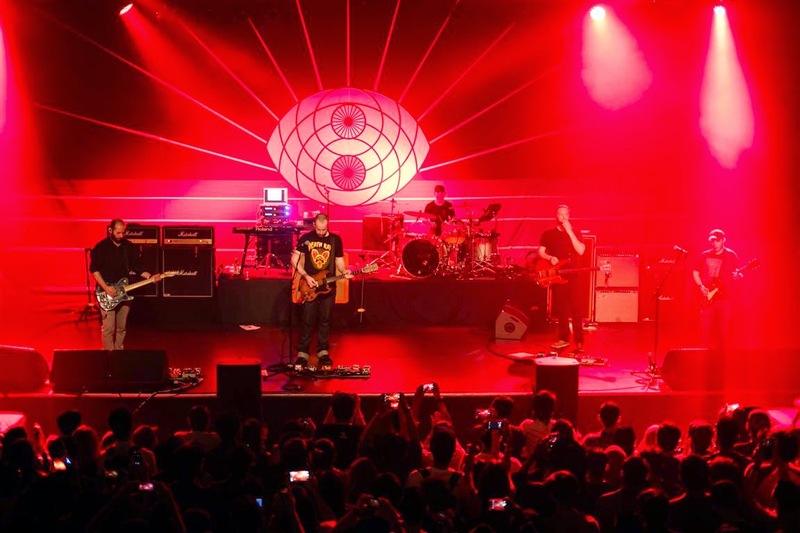 When you were first approached to come perform in Malaysia by the Urbanscapes team, what was Mogwai's initial reaction? 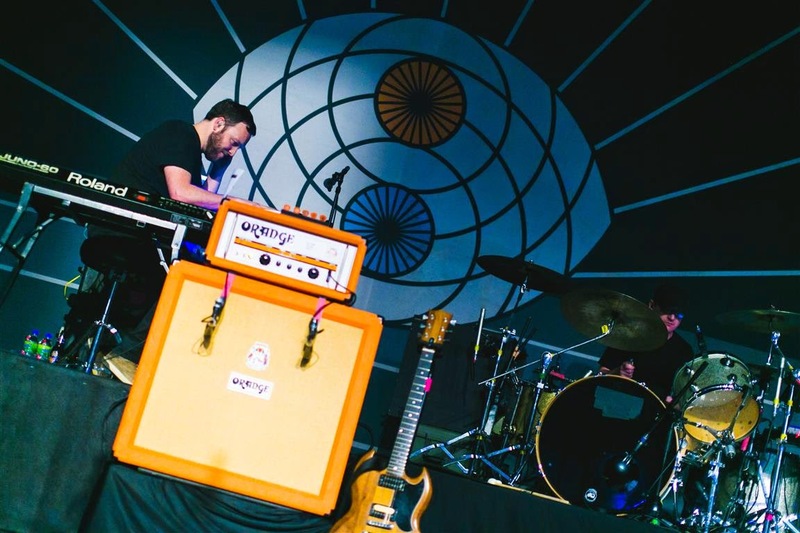 Did you think the local crowd and the current generation can relate to Mogwai, which is now mostly instrumental? I think it's easier for people to get it, because there are no lyrics. But everyone speaks English here anyway so that wouldn't be a problem. I think that's why we also do well in places like Japan, because there is nothing to listen out for other than the music. The last time we were here it was really good too, but I don't remember much except for the food [laughs] and the friendly people. Earlier you've mentioned that you really like Malaysian food and Rendang. When did you first try Malaysian food? I used to live in Glasgow and there are only two Malaysian places. I used to go there all the time. But now I've moved to Germany, so there's nothing and I have to cook myself. Maybe I'll try making Roti Canai when I go home? Moving back to music, tell us about "Rave Tapes", Mogwai's album that was released earlier this year. It has a more mellow sound compared to the band's older albums. There are fewer lyrics and there are a lot of synthesizers in it compared to the usual thing that we do which is mostly guitar work. It was a nice change. Even the bass player started to play synthesizer bass instead of the normal bass, so it's been a bit unusual for us. The band from their album "Rave Tapes". Did Mogwai draw inspiration from anywhere or anyone else? 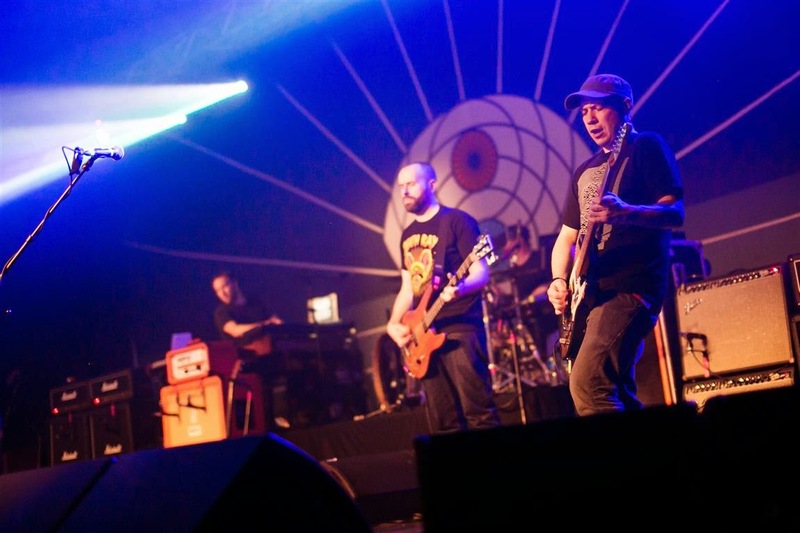 Mogwai has also been involved with scoring film music; with Clint Mansell for "The Fountain" and "Les Revenants". What was that like composing for other works compared to performing as musicians? In ways it is similar because you just have to write some music. For "The Fountain", the music was written without looking at any footage from the movie. We just talked to the director [Darren Aronofsky] and he asked us if we can make the music sound this way and that. So we just made one long piece of music and they made the cuts and used the parts in the movie. When it's a Mogwai album, we don't have any outside influence, so in a way it is sometimes harder. The good part is because we have been around for a while and people know what we sound like, we don't have anyone telling us what to do when composing for film, because they know what to expect and let us get on with it. They don't tell us how to make music, just what they want it to sound like. What about composing for more feature films next year? We're talking to a few people now on scoring for films, but nothing is definite and "Revenants" is going to take up most of our time next year. There comes a point where you have to say 'No' to a lot of stuff because we want to do as much as possible, but we also have to tour a lot and we get offers for concerts a lot, and we like to come to places like Malaysia to visit and get out of Europe for a while. 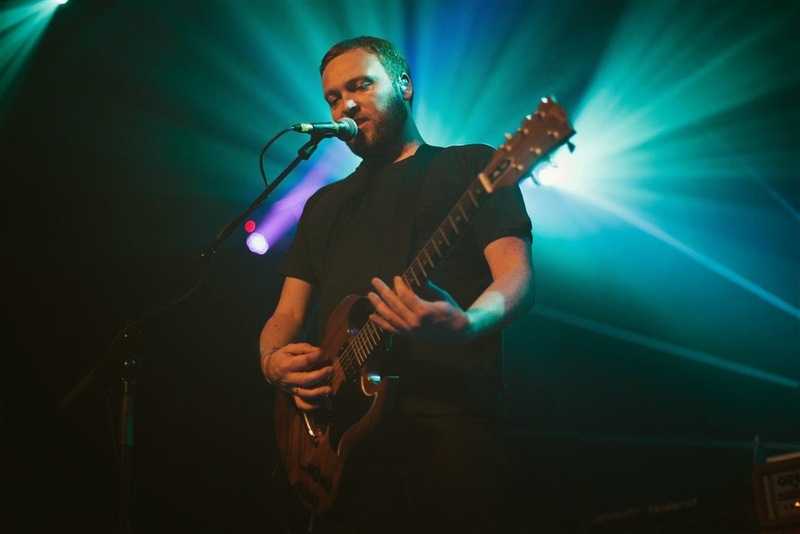 Will Mogwai be scoring for the second season of "Las Revenants" then? Yes. We'll probably be recording in March or April next year. They haven't filmed it yet, so it's taking quite a long time. I was also thinking that the kid [Victor] is going to be all grown up by then or they'll probably do something like "4 years later...". Who knows, let's see. What do you think about the shift of musicians now composing for films, like Nine Inch Nails' Trent Reznor ("Gone Girl") and M83 ("Oblivion")? There's this thing about Hollywood where they tend to fall back on four or five main composers and it's always the same sound and music. I think it's interesting that Trent Reznor is doing more for films as well as Jonny Greenwood ["There Will Be Blood", "The Master"], it makes things unique. 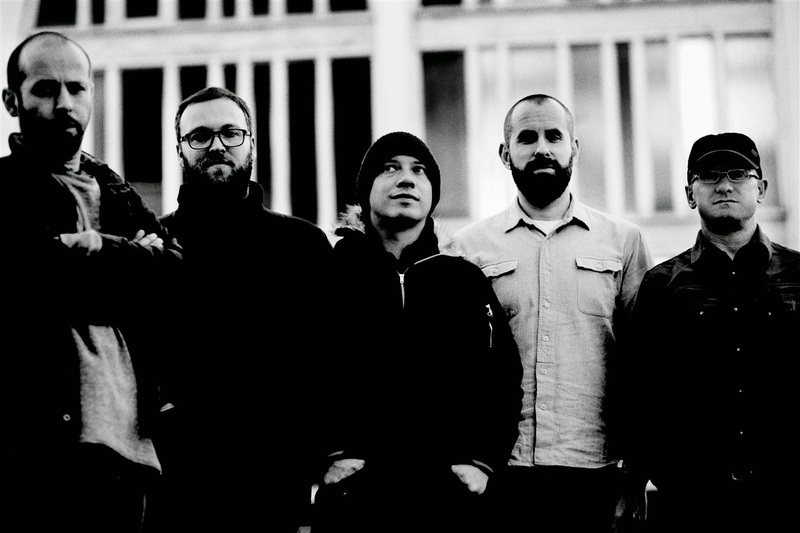 Can we expect a new Mogwai album next year? Yeah, possibly. We'll see what happens. Maybe someone will just come up with a chord or two and we'll start working on it. But we'll definitely keep making music, till we're old or till we die [Laughs], but yes, we'll always be making new stuff. 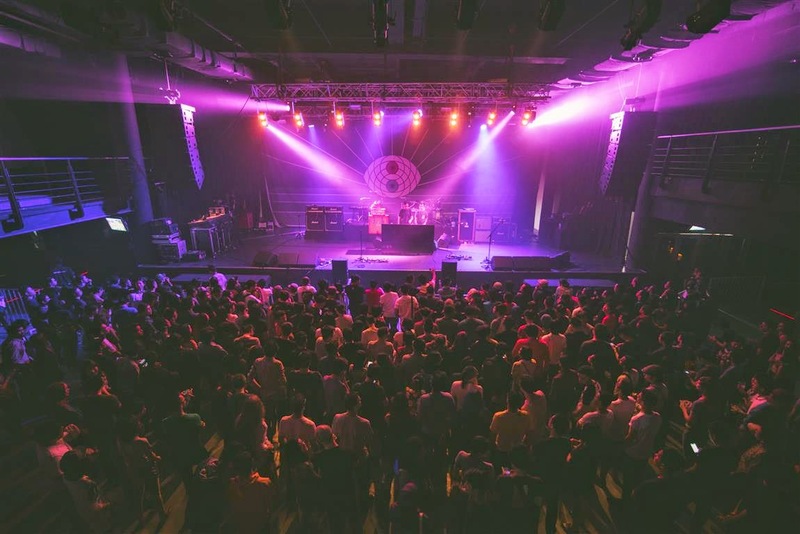 More Photos of Mogwai's show in KL below!